1. 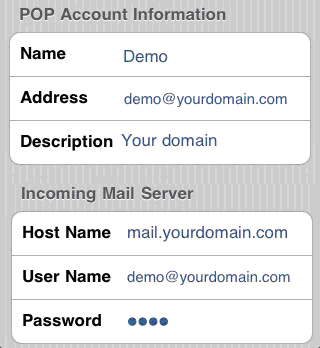 If this is the first account you’re setting up on the iPhone/iPod Touch/iPad, tap Mail. 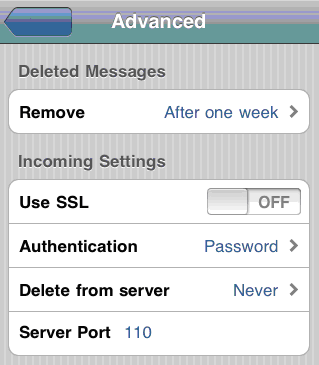 Otherwise, from the Home screen tap Settings -> Mail -> Accounts -> Add Account. 2. 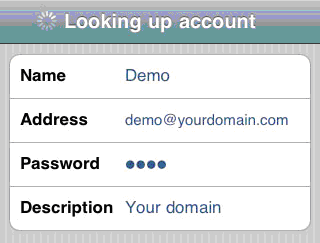 To set up email to work with your domain email address, tap Other (at the very bottom of the selections). 4. Tap SAVE. 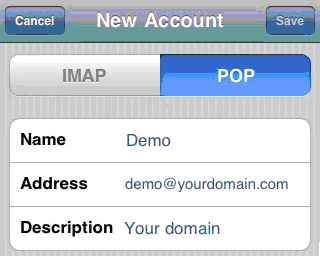 POP or IMAP will be show on top. 5. 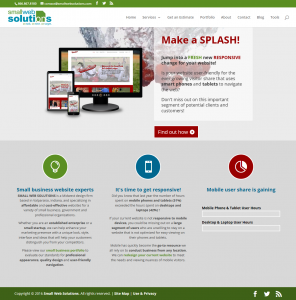 Tap POP so it will be highlighted. 7. 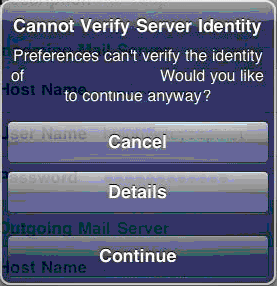 If the system shows the message “Cannot verify server indentity,” tap Details, then tap Accept. 8. 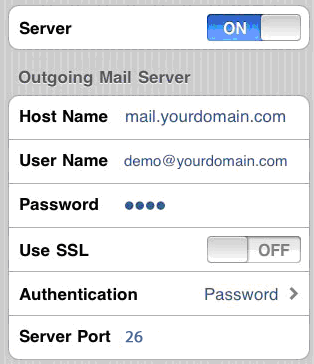 After you accept, go back HOME go to -> Settings -> Mail, Contacts, Calendars -> Select the email account you set up earlier and review the incoming mail server and SMTP (outgoing mail server) settings. 12. 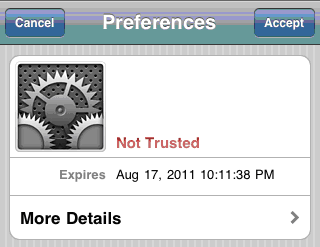 Tap Done/Verify. 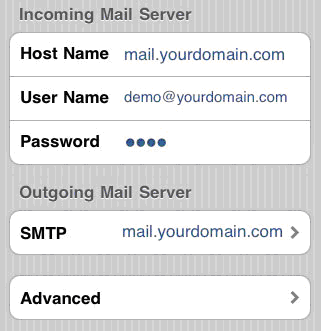 Your iPhone/iPod Touch/iPad is now configured to send and receive your domain email.